If you are looking for a more effective way to reach great heights within your business, you have come to the right place. At Polaris Commercial Funding Group, we offer a variety of financial solutions that will help you come out on top. Companies that sell products or services with payment options of 30, 60, or 90 days can often find themselves in a hard situation. With accounts receivable financing from Polaris Commercial Funding Group, they don’t have to worry. Basically, we will buy the receivables department, allowing that company the capital they need to improve a variety of areas of business. If you are one of those companies, let us show you why it works. The process of financing receivables is quite simple. As we sit down with our clients, we will strive to understand what exactly they need us to do. If this financing option feels like the best fit, we will handle the paperwork so that they can focus on more important business needs. Pre-qualification is a simple process with most businesses qualifying for this loan. What happens next is that their funding increases immediately; often within just one day. With the funds, a company can handle unforeseen expenses, improve the inventory, and handle a variety of other costs. 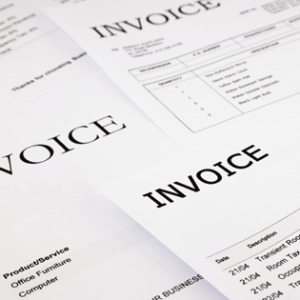 Don’t wait to finance your receivables department. Contact Polaris Commercial Funding Group today to see how we can help you get your company out of a tough financial situation.